Hey Mercedes | Arms, Distance. BPRB Updates – Turn Back the Clock this Spring? Very suprised to see what bands will be making the rounds in the Spring. Namely industiral music originators Throbbing Gristle will do two back-to-back shows at Epiphany (yes, that church place)… after playing NY and Cochella shows. Next on the suprise turn-back-the-clock list is Chicago’s own Red Red Meat. 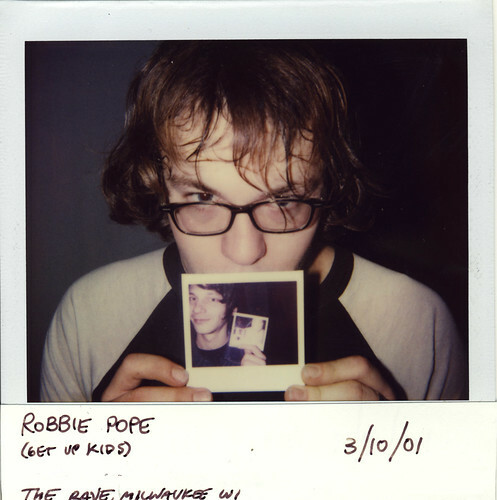 The band’s roster is a who’s-who of Chicago indie rock icons, including Tim Rutili, Ben Massarella and Tim Hurley (of Califone), plus beloved producer Brian Deck (Liz Phair [when she was cool], Tortoise, The Sea and Cake, Modest Mouse). Lastly in the old-news-made-new-news list this week, Bob Nanna (Braid, Hey Mercedes, City on Film) has a new full-band type project with ‘Mercedes bandmate Damon Atkinson called Certain People I Know and he’s twittering his little heart out about it. As of right now, CPIK ranks as my third-favorite Smith-referencing bandname… right behind The Boy Least Likely To and Pretty Girls Make Graves. Fittingly, the pride of the Illini are playing their first show in Urbana on March 13th at Courtyard Cafe and then make they’re way up to Chicago to play at The Beat Kitchen on the 19th. Also of note is a band I randomly came across on The Next Big Sound site, Raise High the Roof Beam. They’re doing not one, but TWO shows in the upcoming months. The production value on these songs are iffy at best, but I do enjoy the sound. It has the strum-and-pluck of solid indie pop (as the Salinger reference would infer) but I also hear a little bit of playful Johnathan Richman, and I can almost gurantee they’re fans of Wes Anderson. Just a hunch. People take pictures of each other / Just to prove that they really existed. 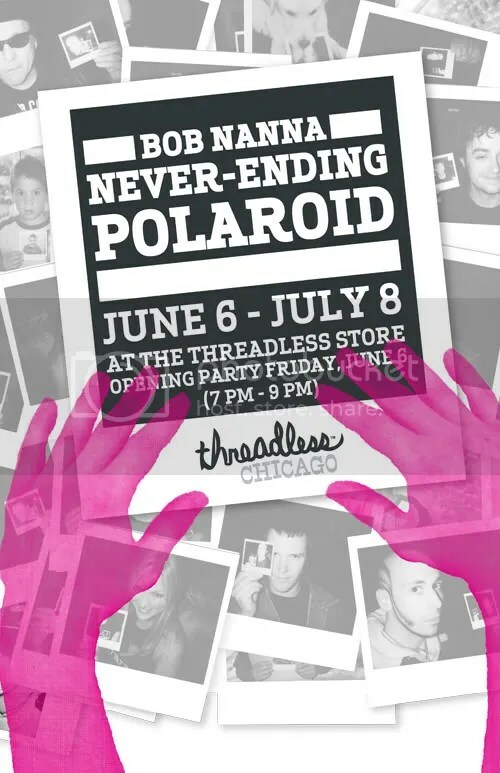 Bob Nanna (Braid, Hey Mercedes, City on Film) has allowed the world to see his on-going “Never-Ending Polaroid” project, now on display until July 8th at the Threadless retail store on Broadway. Nanna, along with tourmate Brian Shorttall came up with the idea nearly a decade ago, and have kept the visual string going much longer than anyone ever anticipated. It should be stressed that these are Polaroid images, which is significant in a few ways. Firstly, I like the juxtaposition of the medium; the immediate gratification a Polaroid image provides, combined with the longevity and diligence this project demanded. 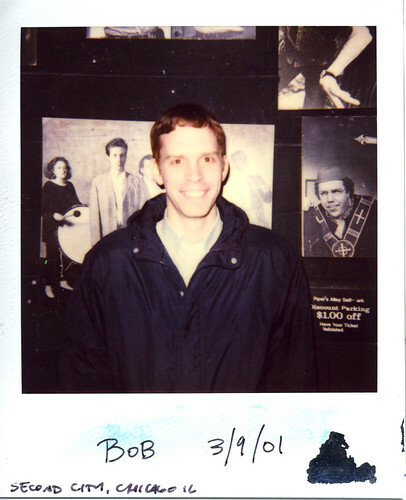 Also, because these are Polaroids, each one of these photos in one-of-a-kind, unedited, and unphotoshopable, pulled from the camera by Bob (or in some cases Brian), and most likely shared with the subject before it was dutifully filed away. On one level, the project can be appreciated by scope alone. I can’t imagine years of lugging a camera around, and keeping track of EVERY picture its ever taken (as well as the name and relationship to the subject). But a further significance is embodied in the photos because Nanna, a journeyman of the emo/indie scene, is behind the lens. The names and faces of recent rock history pop up in-between Bob’s family, friends, co-workers and roommates. 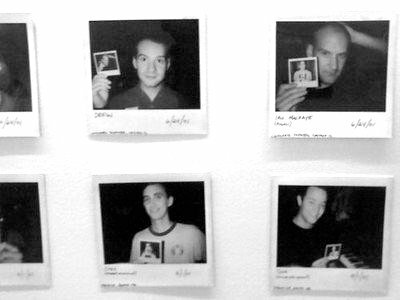 Keep your eyes peeled for members of Fugazi, Death Cab for Cutie, Jets to Brazil, Weezer, Get Up Kids and a bazillion other indie bands and kids captured in a never-ending string of picture-in-picture.